It&apos;s nice to finally be able to say a few good things about McCain and his campaign. First in the video below non-racist and Muslim McCain supporters stand tell off some wingnuts trying to smear Muslims. They all give him a good drubbing. I&apos;m glad those who are not part of the lunatic fringe have decided to assert themselves. daughters and sons that I&apos;m so proud of and a life that&apos;s been blessed. I&apos;m the luckiest guy you have ever interviewed and will ever interview. 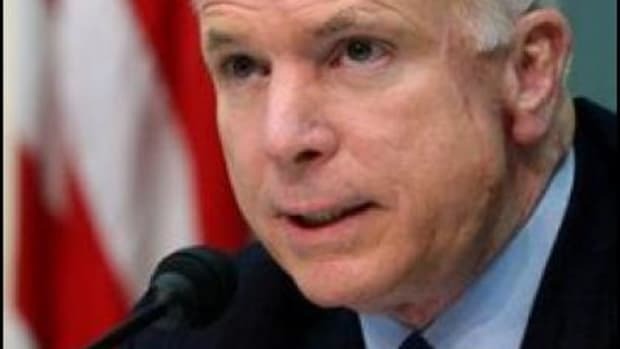 As one who also believes himself to be the luckiest man alive, I have to say that if McCain had been so genuine, human, and heartfelt during this process he might be doing a lot better. That was a glimpse of the old McCain. They should let that guy out more. He seems like a good guy. 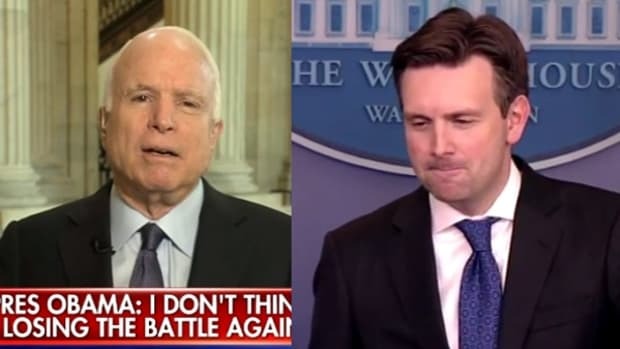 That other McCain who has been running for President, well he&apos;s a very different case.